Due to “circumstances” we’re a bit late with a new episode of The Flickcast again this week. But don’t worry, it’s here now. You can relax . . . and enjoy. On this week’s episode, Chris and Joe’s anger barely registers. But still, they manage to summon a bit of it. People seem to like it when they rant. So there’s that. Topics this week include even more on Mad Max: Fury Road, the aborted Tron 3, the reboot of Point Break, Ash vs. 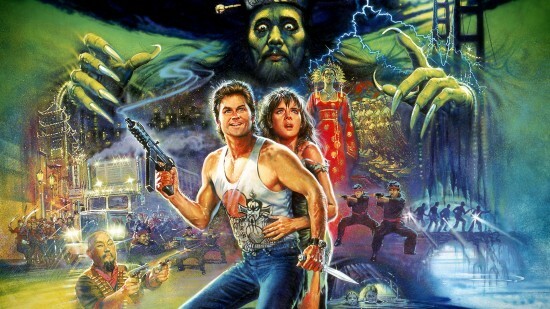 Evil Dead, the career of The Rock, Big Trouble In Little China and a whole lot more. Picks this week include Chris’ pick of the History Channel mini-series Texas Rising and Joe’s pick of the BBC show Space Odyssey. No, the other one. The Flickcast Episode 246: Batfleck! Today is Thursday and there’s a brand new episode of The Flickcast for you. Sorry it’s late. We couldn’t help it. On this week’s show Chris and Joe take on some new topics and revisit old ones, as usual. 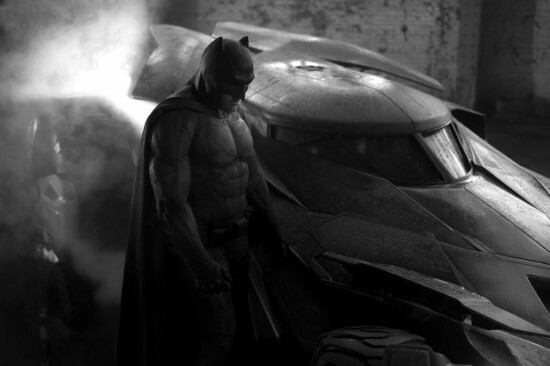 Some of these topics include the first picture of Ben Affleck as Batman, the death of H.R. 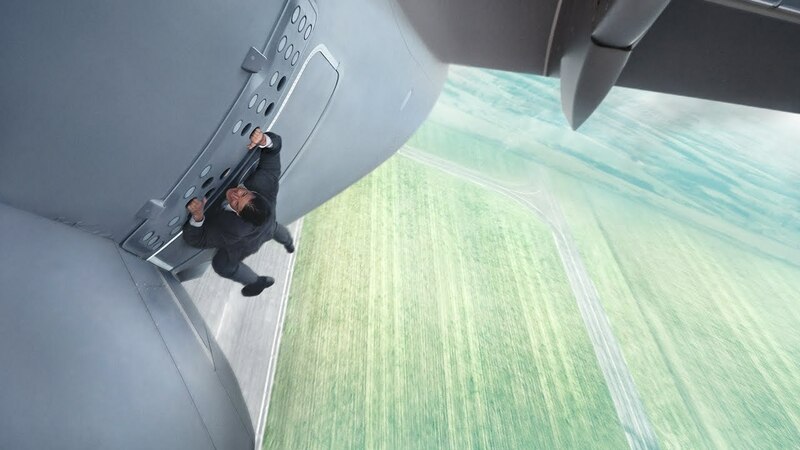 Giger, the new 24, the underappreciated Dwayne Johnson, Edge of Tomorrow, Godzilla, season finales of their favorite TV series, and a whole lot more. There’s some other stuff in there too. It’s a pretty good episode, all things considered. The guys also made picks this week. Chris’ pick is the movie Aliens (in honor of Mother’s Day) and Joe’s pick is the NBC series The Blacklist. So Dominic Toretto (Vin Diesel) and his crew are back. Luke Hobbs (Dwayne Johnson) and his crew are back. And some new faces, Hobbs’ partner Riley (Gina Carano) and villain Owen Shaw (Luke Evans) dd to the franchise’s ever-growing roster. I thought the vast number of characters would be too much of a distraction in the last installment, and, to an extent, it was. But I liked Fast 5, and I’m happy to say that 6 is even better. The premise is all but unnecessary. 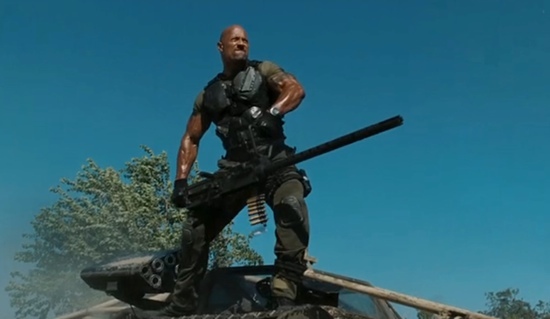 Hobbs recruits Toretto to take down Shaw, a gangster/terrorist/arms dealer whose goal is not particularly clear, but then it doesn’t need to be, does it? Shaw’s latest plan is to steal a military whatsit that can cause blackouts, and his gang of thugs, the minute you meet them, seem like the evil twins of Toretto’s — and it’s a credit to the movie’s cleverness that they actually address the parallels and get some great character beats in from Roman (Tyrese Gibson) and Tej (Chris Parker), two fellows whose roles in the previous films were to stand around and wait for something to do. Just when you thought things couldn’t get any faster or furiouser, here comes another installment in the Fast & Furious saga. That’s right kids, Vin Diesel, Paul Walker, Dwayne Johnson and their gang of car nuts are back, and this time, it’s personal. 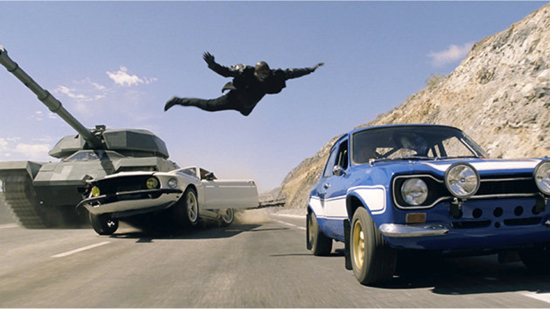 There’s a new trailer for Fast & Furious 6 out now, and we’ve got it for you. The movie is directed by Justin Lin and also stars Michelle Rodriguez, Tyrese, Ludacris and perhaps one or two more people with only one name. Look for it to open on May 24th. Check out the trailer, as it most often is, after the jump. Yep, it’s almost time for The Fast and the Furious 6. To be honest, we’re kinda looking forward to it. Shocking, right? Anyway, here’s the synopsis for you to take a look at as well as an extended look at the movie itself. Enjoy.